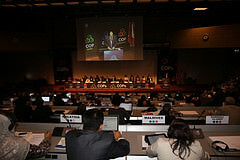 The meeting report of COP-12 is now available in languages. Latest in the gender series shows how children are often more vulnerable to the risk of health impacts from hazardous wastes. The Secretariat hands over the signed BRS Geneva Gender Parity Pledge to Mr. Michael Moller, UNOG Director General. Parties and stakeholders are invited to provide their views by 31 January 2016. Latest in the series highlights an inspirational artist leading an initiative to kick out waste and protect lives in Panama. See the latest in our Gender Heroes series to find out how two inspiring women helped found and now lead a coalition aiming for environmentally sound shipbreaking. The 3rd episode of the BRS Gender Heroes series examines the informal e-waste recycling sector in Africa. Initiation of manuals on prevention and minimisation, EPR and financing systems for ESM were among the key results from a meeting held in San Francisco, USA, 10 to 12 November 2015. Follow BRS via twitter on @brsmeas to get latest postings on the sound management of chemicals and wastes. Jamaica became the latest party to deposit its instrument last week, meaning the Amendment will enter into force with an additional 11 ratifications. The Implementation and Compliance Committee invites Parties to provide information by 10 September 2015 about their experiences in implementing paragraphs 3 and 4 of Article 9 of the Basel Convention. Please click here to view the Secretariat’s Communication and here to view the questionnaire in English, French and Spanish. Call for information and follow-up to the twelfth meeting of the Conference of the Parties to the Basel Convention: second request letter now available. Representatives from Cote d’Ivoire, Jamaica, Kenya, Phillipines and Nigeria were the winners of the special BRS awards for practitioners who have benefitted from Secretariat training opportunities, and used that training for national implementation. View the 4 finalist E-waste photographs honoured at the COPs, including the winning entry from Kai Loeffelbein (Germany).